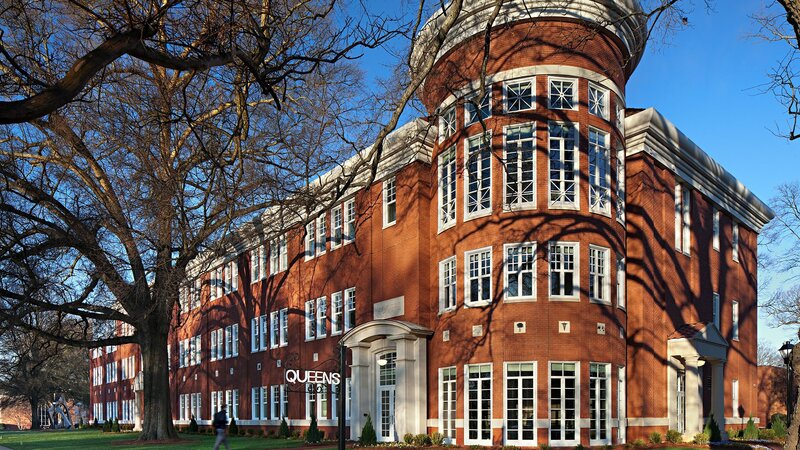 Rogers Science and Health Building @ Queens University - 56,500 square feet - three stories with a full basement - The James E. and Mary Anne Rogers Health and Science Building provides classrooms, faculty and staff offices, and practicum areas. 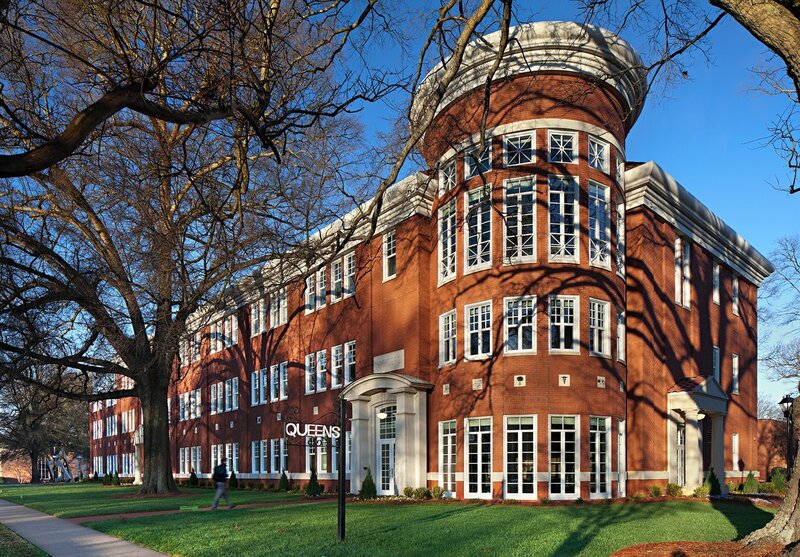 Special amenities are 100-seat Duke Energy Auditorium, rooftop greenhouse and herbarium, and seven independent research labs. 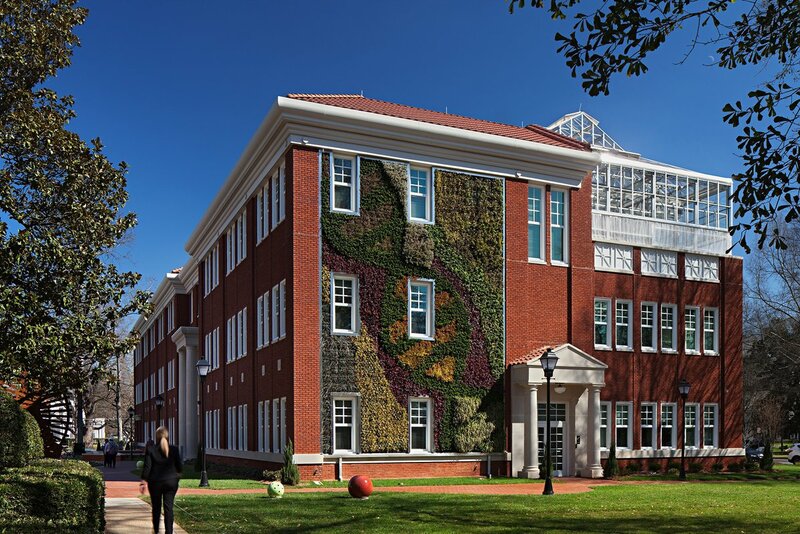 Crowder Green Wall features over 12 live, non-invasive plants in the pattern of a DNA strand. The 30-foot by 40-foot "green wall" is intended to help control interior temperature fluctuation. 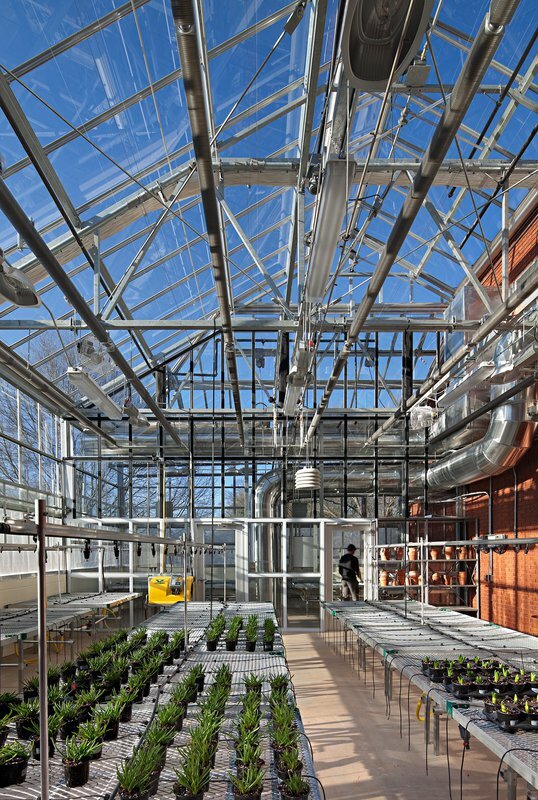 Rooftop greenhouse simulates arid and humid environments and features a Plexiglas beehive. Trees harvested from the build site now provide hardwood floors on the ground and second levels. 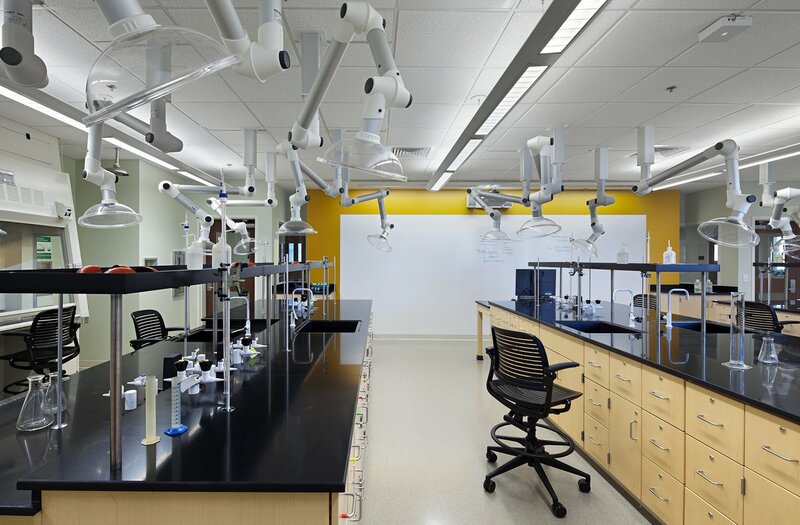 Seven independent research labs empower students to explore their own individual research in biology, chemistry, and environmental science.